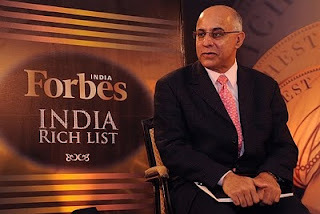 Mr Subroto Bagchi, Vice-Chairman and Gardener, MindTree Ltd, speaks about lessons from 10 entrepreneurs of Bangalore. These people offer different facets to entrepreneurship, he says during the course of his speech at an event organised recently by Business Line in Bangalore. This first part covers the first five entrepreneurs and the lessons learnt from them. First and foremost, I think entrepreneurship is about vision and every vision creates displacement. It is best exemplified by Mr V.G. Siddartha, who started the Café Coffee Day chain. He departed from the family business of growing coffee and went to Mumbai to learn what investment banking is all about. His father gave him Rs 5 lakh and said “May you do well and if you don't do well, you can come back.” He did not invest the money in the stock market. Instead, he bought a piece of land for Rs 3 lakh and put aside Rs 2 lakh because he felt that the money given to him by his father should not be invested in an area that is uncertain. The key thing is you should not do things that you do not understand. He took a bus to Mumbai and hired a room with a shared toilet to understand the world of investment. He understood that coffee growing was not the most lucrative of businesses and for its true value to be unlocked it is important to get into retailing. When he wanted to get into it, people wondered who will pay Rs 40 for a cup of coffee. When he insisted, his marketing team said that it's your money and maybe the whole of Bangalore needs three Café Coffee Days. Now there are more than 1,000 all over the world and 300 in Bangalore. Mr Siddartha represents the spirit of vision. A lot of people may have wonderful ideas. What they don't have is the preparedness to displace themselves. When he went to Mumbai in search of knowledge he was entering a place he did not know. He was far more comfortable in Karnataka but he necessarily displaced himself. All great entrepreneurs have vision and pay a price for vision by embracing displacement. The second entrepreneur from this city who's a great example is Ms Kiran Mazumdar-Shaw. Vision is not enough. You have to have self-confidence. She wanted to study medicine but she could not make it because she fell short a couple of marks in the merit seat. She went to her father and said she would at least study medicine by paying donation. Her father did not support the idea. She said, look if I was your son, you would have given the money. He said this argument will not cut ice with him. Then she came again and said you will get me married and you will give me money and gifts. Instead give me money to study medicine. This didn't work. Ms Kiran then studied zoology and then brewing in Australia and became the first brewmaster of the country. When she came back she was completely shattered as nobody offered her a job as the country was not ready for a female brewmaster in a male-dominated field. She didn't get a job. While waiting, somebody offered her a proposition to grow enzymes from papayas and that's how Biocon started. Now, when I ask Ms Kiran what is the secret of her success, she says it's about the ‘can-do' attitude and self-confidence. She needed to prove to the world that had rejected her for being a woman that a woman entrepreneur can not only build great business that women are as good as men. She's the biotech queen of the country today. The third quality is about following your own passion. Mr Narayan Manepalli is a man who started Bangalore's first micro brewery. I know this is a wrong example to give in an educational institution. Mr Manepalli found his partner in Standard 4. Sometimes you find business partners as early as that. They graduated together and both of them studied engineering in two different places. When he was in the West Coast, he stumbled upon micro-brewing. When he came back to India, he met his old friend and decided to start. Here's the catch. You may find your passion and the world may not be interested to support it. You could make beer but cannot get into micro-brewing. They did not give up. They exported the formula to Belgium, got the product made there and imported it. The law said they cannot start micro brewery in the country, but it did not say that you cannot import beer. It meant that when you pay the customs duty, a beer that costs you Rs 40 costs you Rs 400. Both of them thought that it is important to establish the brand. It is called Geist. Mr Manepalli found his passion and it is the capacity to hang in there that makes you a successful entrepreneur. The next important quality is the capacity to postpone the gratification. These individuals who can postpone their desire are successful. Infosys will soon be 30 years old, TCS 40 years old and Wipro was established in 1947. It is not possible to build a sustainable high performance enterprise in 5-10 or 15 years. It takes at least 25 years to build a company that will not fade away after the founder has gone. There are great examples of postponed gratification, sometimes for 25-30 years. Work has to be done, the results will come later. A man who symbolises that best is Mr N.R. Narayana Murthy. If Mr Murthy had thought of making money, buying an apartment, buying a second apartment when he started Infosys, he would not have been able to build one of the most memorable companies, an institution that is globally respected. The important requirement to build a great organisation is the capacity to postpone gratification. The other great entrepreneur is Capt G.R. Gopinath. His capacity was in terms of connecting the dots as he looked into the future. The future does not present itself as a clear picture. It presents itself at best as a pattern and you have to have the capacity to connect the dots in the pattern and certainly the pattern emerges and you see something that others do not. Capt Gopinath was an organic farmer. In Bangalore, he met his old friend Sam who was an ex-army pilot. They used to play squash together. Sam did not have a job after retirement. Helicopter pilots do not get jobs that easily after they retire. One day he told Capt Gopinath that he found a job as a regional manager in a courier company. Capt Gopinath was shattered. He thought, we really need airlines and pilots and here was a pilot joining a courier company. Shortly after that Capt Gopinath went to China. He read a newspaper report on a Vietnamese woman who was returning to Vietnam. On seeing her country, she started crying. “Oh my God, my country is shattered. What can I do to rebuild that country.” Maybe I should start a helicopter company. Capt Gopinath was in China and suddenly he had the capacity to connect the dots. If Vietnam needed a helicopter company, India needed it 10 times over. With liberalisation, the country will need air connectivity. He put the two things together and said I'll start a helicopter company. When he started it, he did not even know the price of a helicopter. He said thank God for that, because if I knew, I would have never gone into the business. One day when he was flying to Goa, he saw every village had a dish antenna. Then it occurred to him that this is a not a country to be subsidized and fed. This is a country where a billion people can fly. He saw how the dots connected into the future and that's how he started the first low-cost airline of the country. He had the capacity to connect the dots. Source: This article was published in Business Line, Feb 13th 2011.